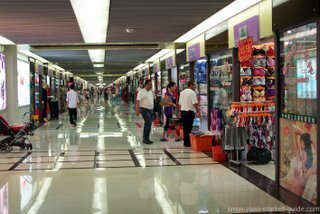 Yiwu Underwear Market - Original, Fresh, Useful Information You're Looking For. Opening hours: 09:00-17:00, 7x365, except a 15-day-closedown during Spring Festival. This is another big market. The number of stalls adds up to about 3,000 now. You can find the most types of underwear here, from the latest technology collagen fiber bras to the most common cotton briefs. 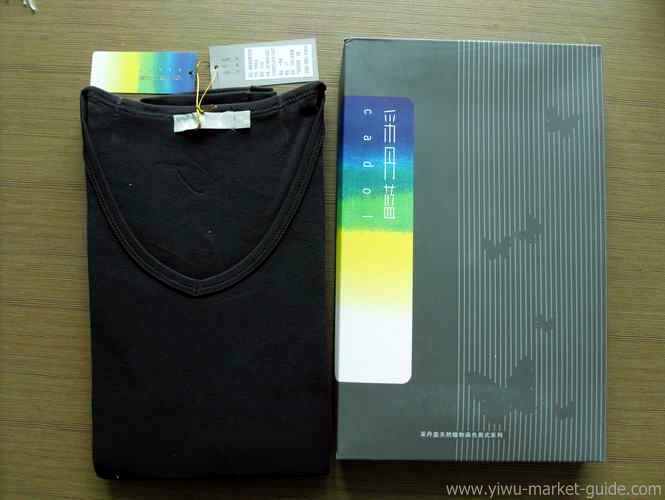 Yiwu is the biggest seamless underwear manufacturing base in China. 80% of the best China seamless underwear knitting machines, and 20% of the world best seamless underwear knitting machines are all sold to Yiwu each year. Dongyang, a close neighbor to Yiwu, is also one important underwear making town of China. With these strong supplying bases, Yiwu underwear market became China's largest underwear wholesale market in 2006, with a yearly transaction amount of over 1,000,000,000 US dollars. This market now is the showroom for all China underwear producers. Guangdong is still the No.1 supplier for this market. About 45% underwear is from the big underwear cities and towns like Zhongshan and Nanhai. Yiwu and its neighboring cities have a 35%. The rest of them are from Jiangsu, Fujian and other provinces. According to the data released by Yiwu government in April 2009: 67% of all the stalls here are factory direct outlets, the rest are agents and distributors. Almost all top China brands have their direct sales offices, or agents, or distributors inside this market. But most of the stalls are still full of small brands and non-brands. Factories have more interests in OEM than in their own labels. The products range is very broad: men’s underwear, women’s underwear, bridal underwear, boys’ underwear, thermal underwear, silk underwear, plus size underwear, thong underwear... are what you'll find here. Eight out of ten times, you can get what you're looking for from this market. For the rest two times, they're for OEM. This market can always come up with something after you pay a visit. Collagen fibers underwear is a new product here. They are not only underwear, they are skin care products too. Wearing this underwear could improve your skin condition, without creams or lotions. Zein fiber is a natural polymer fibre, produced from zein, which is extracted from corn meal. They’re pretty soft and light, easy and comfy. Some underwear in this market are made of this material. They are new arrivals! One piece swimsuits are hot selling now. They're of countless patterns and styles. Bamboo fabric is light and strong, has excellent wicking properties, and is to some extent antibacterial. 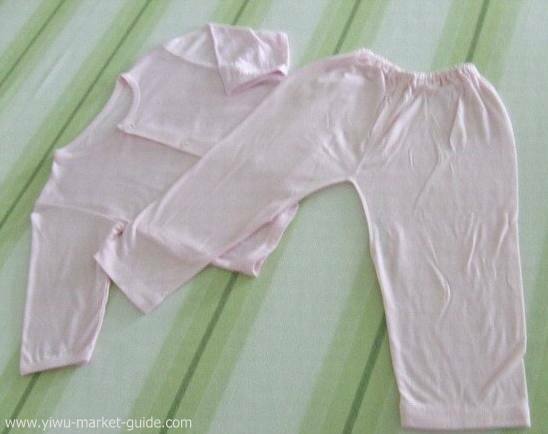 So kids pajamas made of this are welcomed in the market now. Thin bras now are popular because of the hot weather. Thins bras or sup-thin bras can help ladies keep their babies cool and let them breathe more easily. 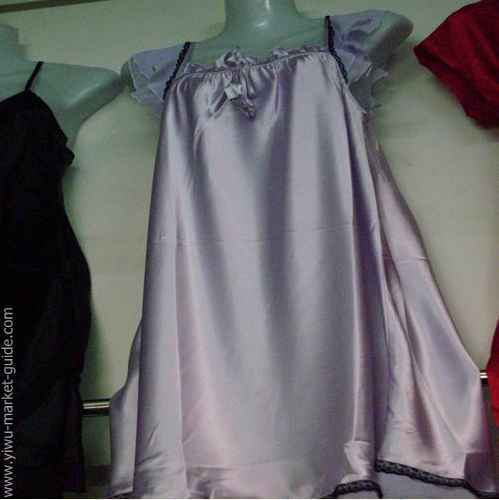 No matter what new materials are invented each day, or new styles are designed out each day, the simple style 100% silk pajamas are always popular here. This is a new market. Has some nice friendly facilities. You can have a cup of coffee or chill for a good while inside the coffee bars right inside. The buffet there is also nice. Put some food, or at least a bottle of water, in your backpack, if you want to stay longer than 3 hours. Usually you will. Smoke only in the smoking room or in the lobby. Hire a translator if you want to know more details and intend to place orders. But if you just want to look around, all the vendors have no difficulties quoting you a price with their calculators.